Ringing has dominated my weekend so there has been little time to get out onto the patch. On Friday evening I was trying to catch little terns and yesterday I was checking barn owl and tree sparrow boxes. 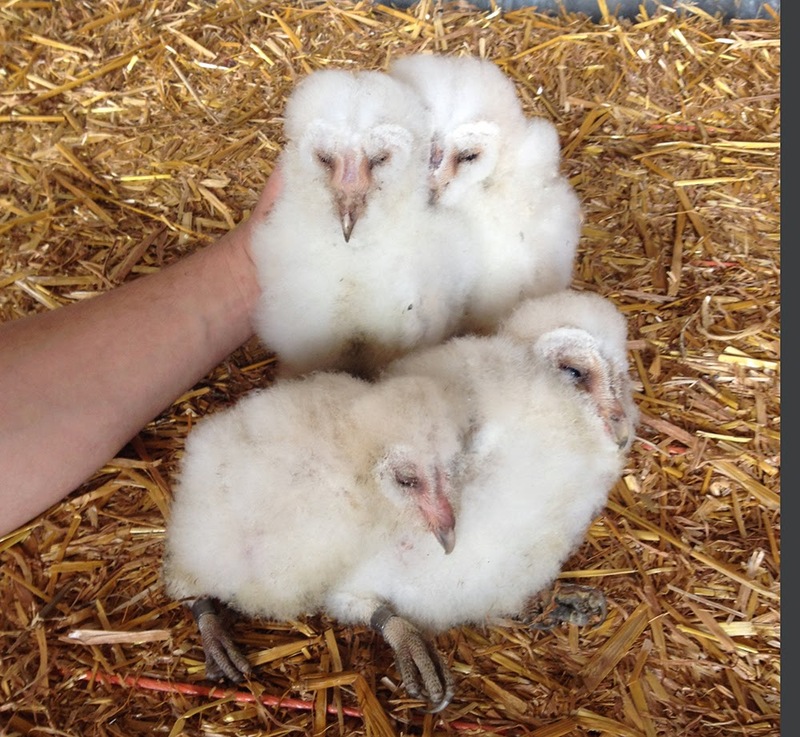 We've already checked two barn owl boxes and ringed four chicks out of each, so things are happening early this year and it looks like a good year for voles and therefore owls. Last year was a poor year for barn owls so hopefully they'll have a better season this year. I was on the patch today to do my WeBS count. The spoonbill was still there, fast asleep as usual. It woke up later, but I still haven't managed to get the colour ring combination from it. A pair of teal are still here, but all of the wigeon have gone, gadwall and shoveler are still present in good numbers. Lapwings are still defending their chicks from anything that passes and a pair of snipe are drumming and chipping, which is always nice to hear. Spoonbill.got a few photos of rings but dont know how to send them to you?